LED Illuminations has prided itself with supplying high quality LED products for the last ten years. We have a loyal following from discerning customers who appreciate our consistently high levels of quality, customer service, and technical support. 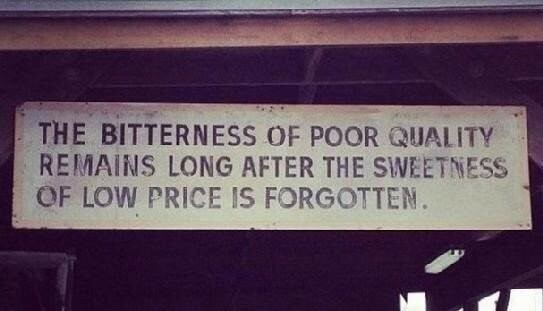 Increasingly we receive telephone calls and emails requesting a quote, which we’ll happily prepare along with information on installations etc only to receive a reply that they can buy it much cheaper. Of course, they can buy it cheaper and the technical data appears the same on paper but what they will receive will definitely be of inferior quality. If you take into account the cost of revisiting the installation to make good, the lower purchase price is soon immaterial. It is not only the cost or readdressing the situation but more importantly the confidence their customer has lost in them. Quality LED ribbon will have a substantial copper printed circuit board (PCB), the LED chips will have been supplied from a reputable manufacturer, and the manufacturer will put the products through a run-in test before shipping. necessary. All our LEDs are manufactured by Honglitronic using Samsung, Cree or Epistar chips. When we started out 10 years ago, there probably were 1,000 UK LED companies fighting for business. Now it is more likely 10,000 companies and so business is more competitive. Because of this situation, LED Illuminations are currently looking at a Budget Range of LED products that can be used when longevity is not a requirement and therefore the problems of remedial work will not be an issue. We will continue to offer our Professional Range but offer an alternative for jobs where the budget is tight. We will keep you updated on this.